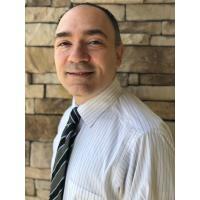 ORLANDO, Fla. (April 3, 2019) – Axiom Bank N.A., a Maitland-based, leading community bank, recently promoted Pete Longo to VP, Digital Banking. In this role, Longo will further enhance and grow the bank’s digital service line. “Pete has demonstrated his expertise in the field of emerging banking technology, which aligns with the shift we see in the industry. Under Pete’s leadership, Axiom Bank will continue refining our product base so we can provide consumers with the tools and features they want,” said Urjit Patel, EVP, Consumer Banking of Axiom Bank. Longo was hired as VP, AxiomGO Product Manager last July to oversee the bank’s checkless checking account and cutting-edge mobile app, AxiomGO. In that time, Longo facilitated functional upgrades and introduced new features to the app.